There are many things I love about my job and my friends and my colleagues and my community. The East Lake Mobile Market is at the top of that list for many reasons. An initiative of PEER, Inc (Promoting Empowerment and Enrichment Resources), the Mobile Market is just one of MANY exciting things they are doing in East Lake. Let’s see, there’s the East Lake Market, Community Kitchen, Senior Market Baskets, nutrition education programs at Birmingham City schools in East Lake, and the list goes on and on and on. In fact, the Birmingham News did a great story about PEER, Inc’s work and you can read it HERE. And I’m LOVING all of the posters and new artwork designed by Jacob Schwartz and The Modern Brand. 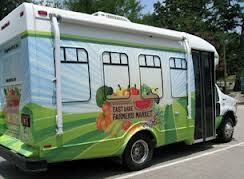 Mobile Markets have taken communities by storm across the country. Just look at Nashville, Spartanburg, or Detroit for starters. But, wait a second. What is a Mobile Market? Think of it like an ice cream truck, but substitute fresh vegetables and fruits instead of ice cream. I am so proud to work alongside PEER, Inc and appreciate all the good work they are doing in East Lake. So what can YOU do? 1) Well, right now you can tell your friends and contacts in East Lake to check out the Mobile Market Tuesdays-Thursdays. 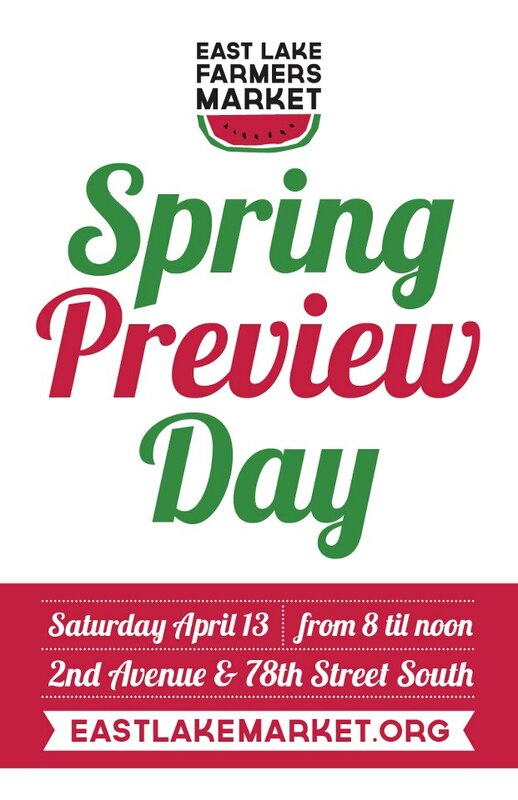 2) Next thing you can do is mark your calendar to attend East Lake Market’s Spring Preview day on APRIL 13. 3) Once the East Lake Market opens in May, you can visit them on Saturdays and support local farmers and artisans. You can also volunteer your time those days. 4) And you can ALWAYS “like” East Lake Market on Facebook, visit their website (EastLakeMarket.org), or contact them directly to see how you can help! Sure, it might be snowing in Alabama today (I know, right? ), but I’m determined to focus on the fact that it is officially March, which means fresh veggies are right around the corner. Woo Hoo!